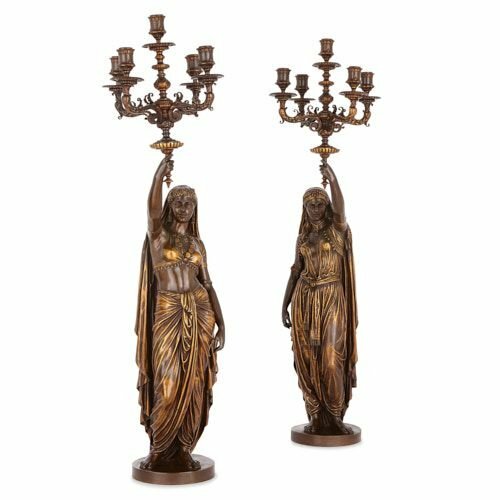 These exquisite French figural candelabra were designed by the acclaimed sculptor, Émile Guillemin, and cast in bronze by the famous Barbedienne foundry. 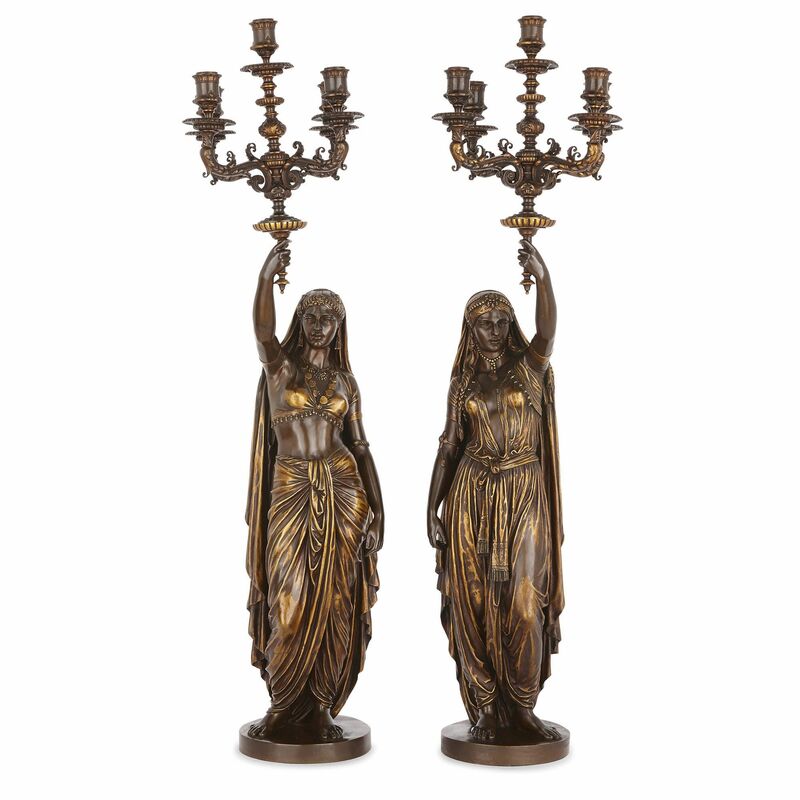 The candelabra take the form of an Indian and a Persian woman, who stand on circular bases. The full-length figures adopt contrapposto poses, each with one leg carrying their weight and the other bent at the knee. Each woman has her hips and shoulders tilted at opposing angles, causing her torso to turn in a beautiful, subtly animated way. One woman is dressed in traditional Indian costume: she wears a long headscarf, a small beaded top which exposes her stomach, and a piece of fabric tied around her waist, serving as a long skirt. The other figure wears Persian loose trousers (salvar), which are tied with a tasselled scarf, a top with a plunging neckline, and a long headscarf. Both women wear bracelets, necklaces, earrings and beaded headdresses. 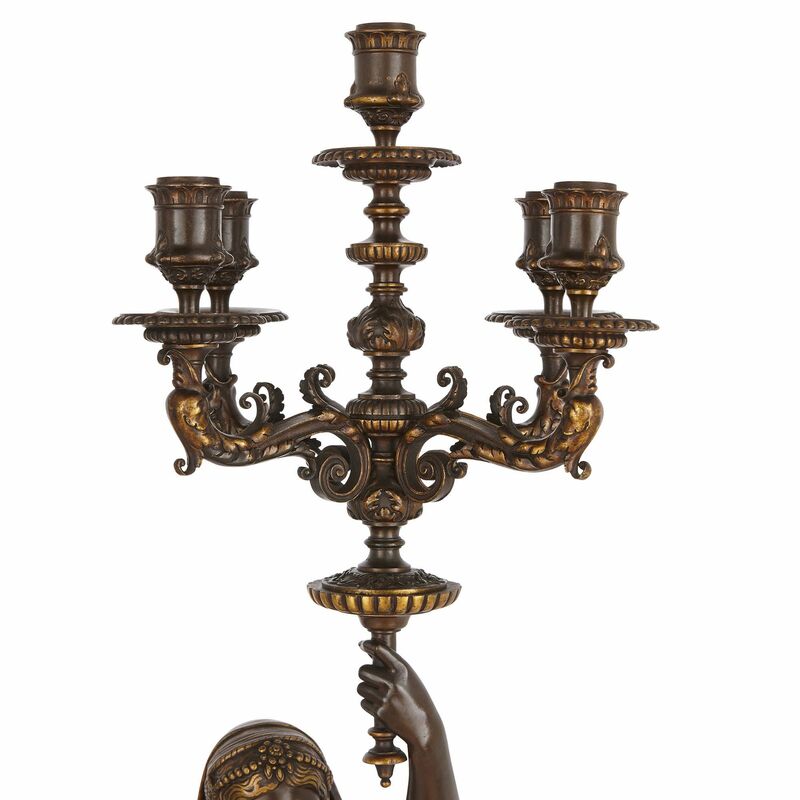 Each figure holds aloft a five-light candelabrum, which is composed of scrolling, foliate branches, topped by wide drip-pans with gadrooned edges, and urn-shaped capitals, decorated with foliage and ovolo patterns. The two bronzes have been finished with a warm brown patina, and the figures’ clothes, accessories and the candelabra have been gilded. 'Ele Guillemin' and 'F. 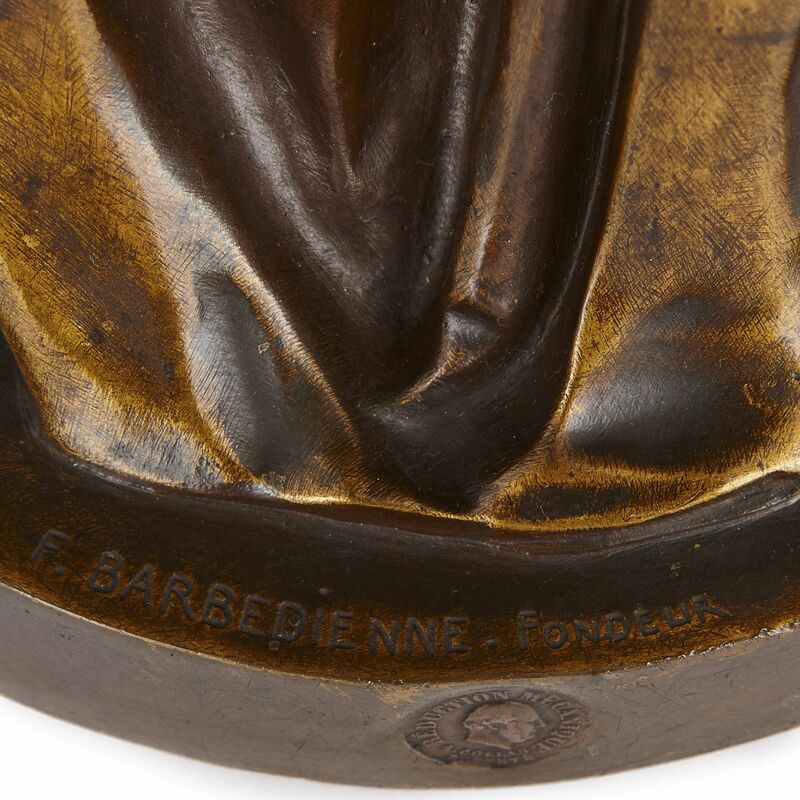 Barbedienne. Fondeur' are signed onto the bases of the candelabra, together with an ‘A. 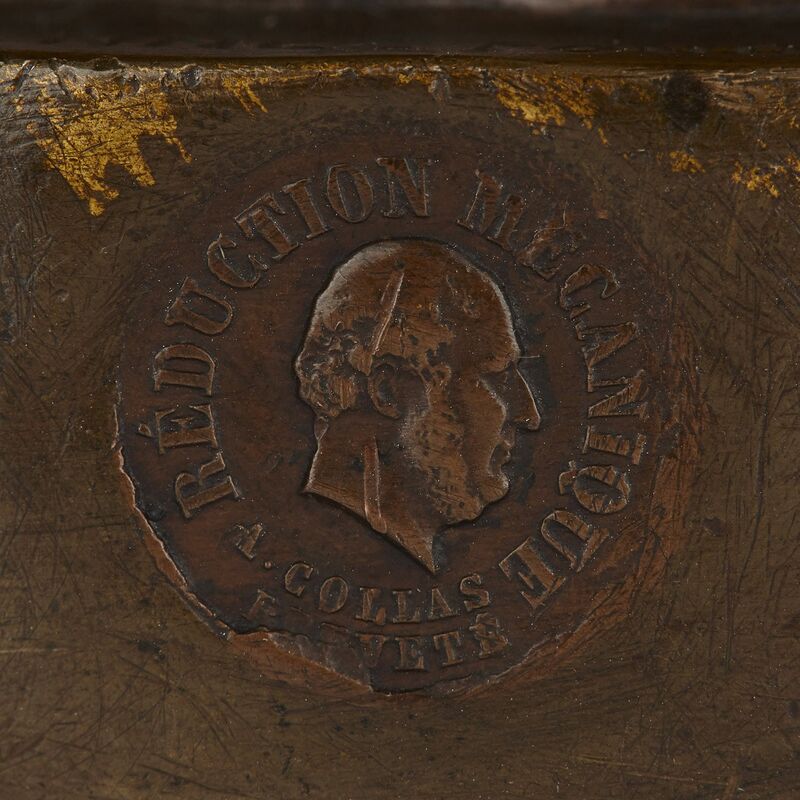 Collas’ reduction stamp. 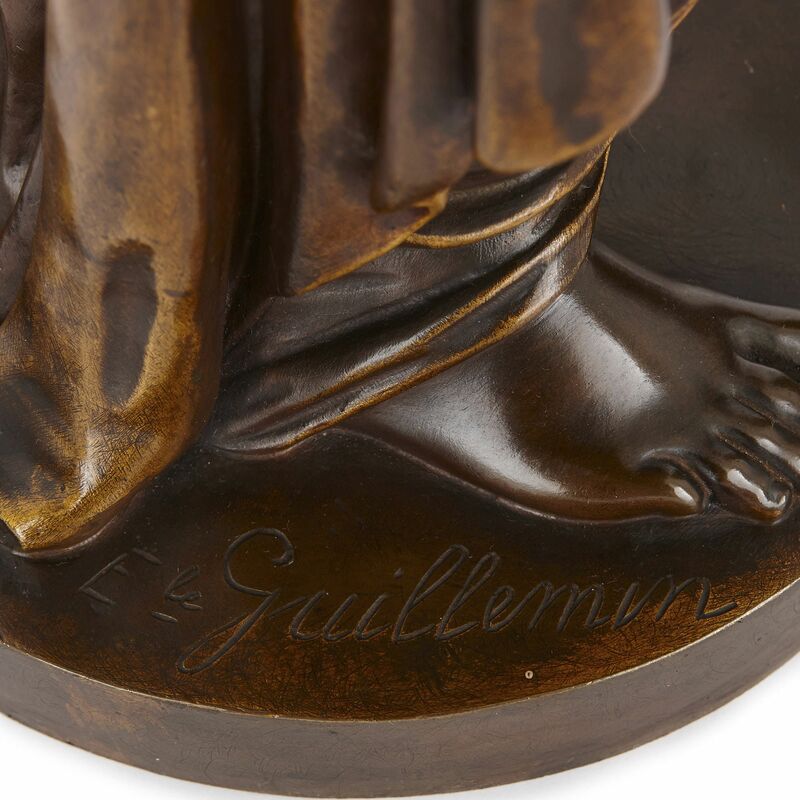 The designer, Émile Coriolan Hippolyte Guillemin, was an acclaimed French sculptor, who regularly exhibited at the Paris Salon from 1870 onwards. 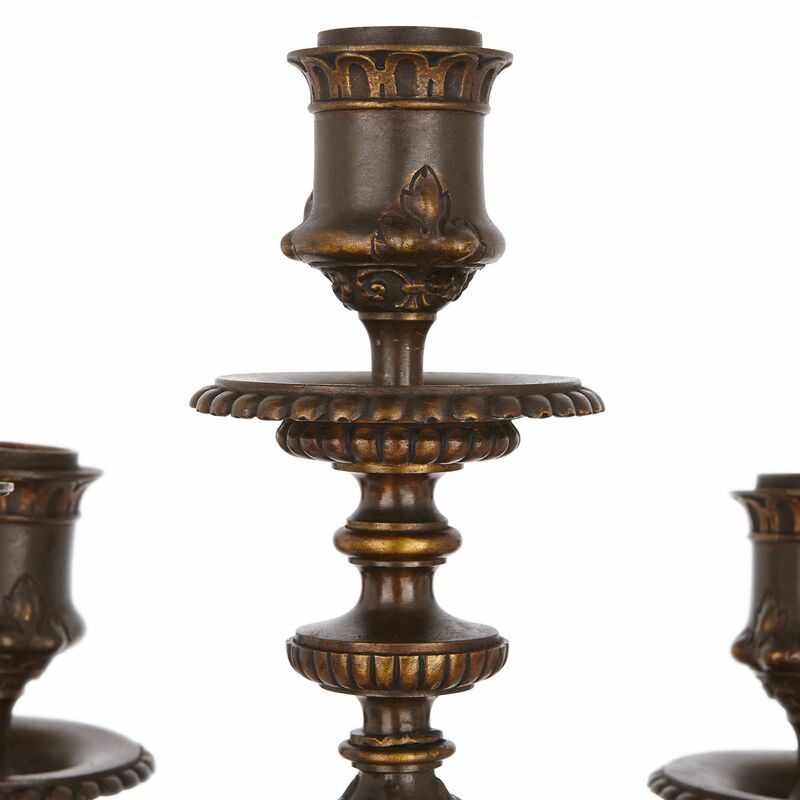 The models for these candelabra were showcased there in 1872. 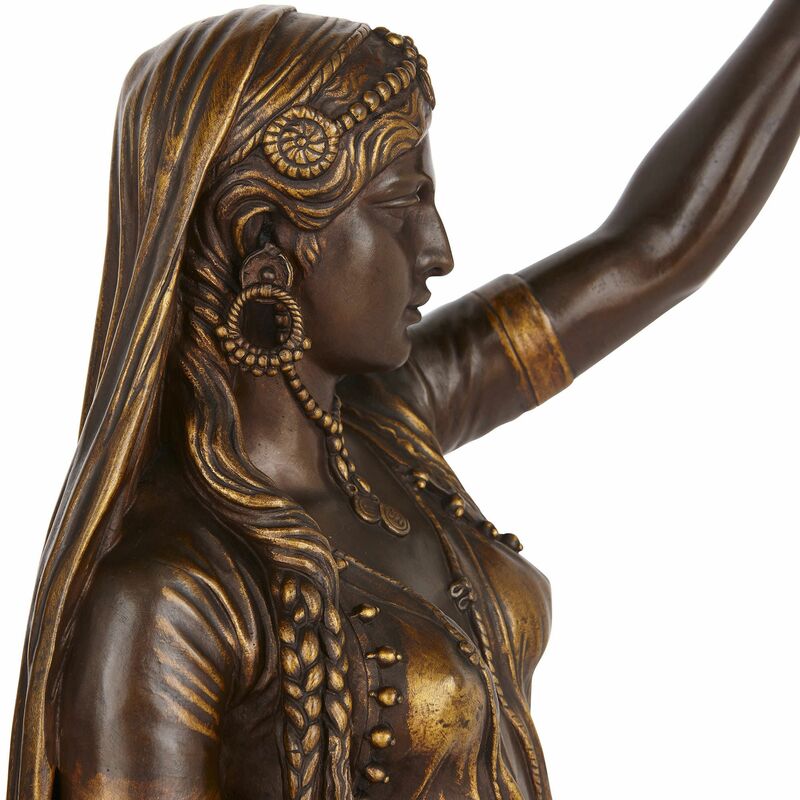 They are listed in Ferdinand Barbedienne’s catalogue of 1886 as ‘Deux Femmes, Indienne et Persane’ (Two women, Indian and Persian). 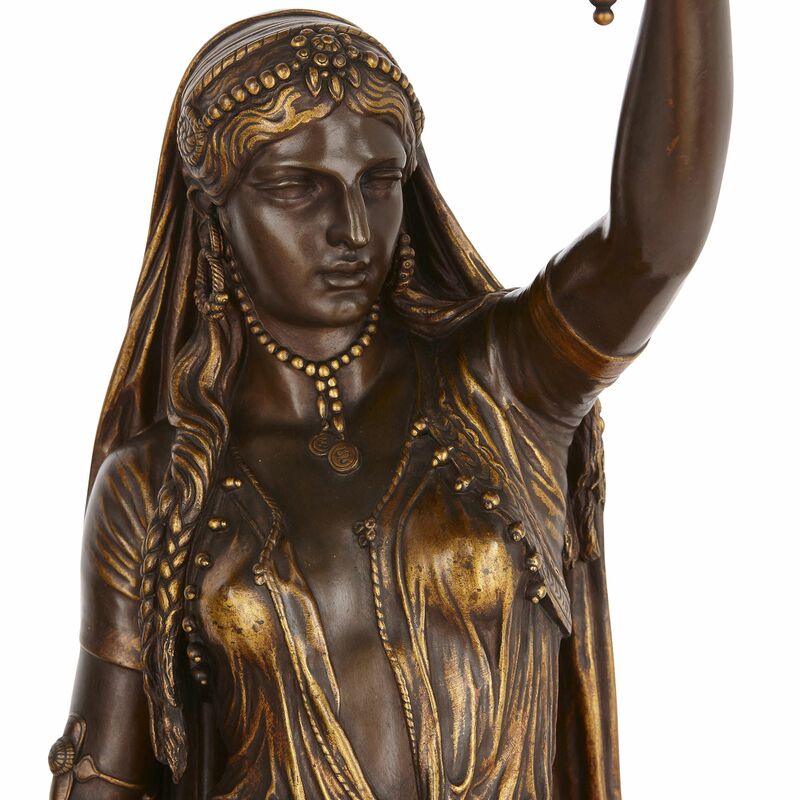 The bronzes are exceptionally detailed and beautifully patinated and gilt.